Summary: THIS 500TH SHOW IS HOSTED BY TIM FINN AND MOLLY WHO IV TIM RE ALBUM, SINGLE AND SOLO TOUR. ALL NOMINATIONS FOR THE COUNTDOWN MUSIC AND VIDEO AWARD ARE ANNOUNCED. POPULAR MUSIC SERIES FEATURING OVERSEAS AND LOCAL TALENT, THIS SHOW HOSTED BY DAVE STEWART, NATIONAL TOP TEN ARE READ WITH BRIEF CLIPS ONLY, WITH FULL CLIP OF NUMBER 1 KIM WILDE 'YOU KEEP ME HANGIN' ON' (53.29) MOLLY MELDRUM'S SEGEMENT (WITH HAT) RECORDED FROM THE HIPPODROME RE REVIEW OF NEW ABULMS AND AUSTRALIAN BANDS OVERSEAS. Summary:MOLLY AND BOB GELDOF HOST THIS SHOW FROM SYDNEY AND THERE IS NO STUDIO AUDIENCE. MOLLY TALKS TO GELDOF ABOUT LIVE AID, MONEY RAISED AND AUSTRALIA'S INVOLVEMENT IN LIVE AID CONCERT. EXCERPTS SHOWN OF GELDOF DURING LIVE AID CONCERT, ELTON JOHN IN VIDEO MADE FOR SCHOOLS TO SUPPORT LIVE AID AND AUSTRALIAN BANDS PERFORMING DURING LIVE AID CONCERT. THIS SHOW IS HOSTED BY JOHN FARNHAM & LRB'S DRUMMER AND LIVE ACTS ARE LRB, OUTLINE,INXS AND AUSTRALIAN CRAWL. MOLLY PRESENTS MUSIC NEWS IN 'HUMDRUM' & APPEARS WITH FARNHAM & LEAD SINGER OF AUSTRALIAN CRAWL TO ANNOUNCE TOP SONG FOR THE WEEK. A GORILLAGRAM IS READ TO MOLLY WHO IS WEARING 'STAR' ANTENNAE GIVEN TO HIM BY A MEMBER OF THE AUDIENCE BECAUSE IT 'MAKES HIM LOOK LIKE A FAIRY'. Haven't fully absorbed it yet but 5 eighties episodes seems promising. I looked at the Sunday morning programming and rage are playing the very exact retro videos which I posted below as they are on Saturday morning, this could have been another Countdown or Rock Arena or even GTK. Interesting thatrage are keeping the retro them going up until 6:00 am on Sunday morning. Very happy- five countdowns each from a different year. There is some GTK after Countdown but no full show. Eleven Countdown episodes in 2 weeks of Retro Month ... I'm happy! Very happy! I just hope the Countdowns keep coming in the second half of the month. I think on rage goes retro 3 there will be a vast amount of GTK and probably only 2 or =3 Countdown's or even worse Recovery. I would love a few Rock Arena's on weekend 3. On rage goes retro 4, rage usually play a vast amount of Countdown episodes so hopefully that will be the case again this year. I hope after this weekend rage play more episodes with Studio Performances as the 1985 and 1986 episodes this weekend are very video clip orientated. Looking forward to Corey Hart with the interview and of course Real Life with Face To Face, which should have been a massive hit! I remember watching that 1986 episode at the time. I was in a country area and Countdown was almost the only access I had to music videos, so it was a disappointment in weeks like this where most were quite dull, almost alternative and lacking the usual vibrancy of Countdown choices. I also vividly remember the 1985 episode, but was disappointed when 'Boy In The Box' was interrupted by a Corey Hart interview, as I wanted the full song and that was the only time I ever saw it. The same happened a bit later with the only airing of "Say I'm Your Number One' interrupted by a Princess interview. As does 'Six Month In a Leaky Boat'. It is being aired again on Saturday morning. I remember joking about it getting aired every retro month in about 2012, and it's on yet again. Do you want Babies, or do you have it already? It is a very rare video! And do you know if your time-coded episode of Rough Trade is the full clip or is it missing a few seconds from the start and finish? I am hoping it is the full video! Thanks Matt73. All three very solid songs that are underplayed. Brings back memories of great compilation albums like 1986 Out Now and 1986 Way To Go. I don't think there were any Rock Arena's last year as well. I miss Suzanne :slightly_frowning_face: I might request a few for Retro 2020. There were two Rock Arena shows played on the 2018 final Saturday/Sunday morning of Rage Retro Month January 27. Shows from June 1983 with The Angels and later a 1985 show from April. Only two from memory in that final weekend. I too would like to see some more Rock Arena shows though not bothered if there are not any played this year as Countdown is my first preference to see again first. agreed, Face to Face was a great song. Such a shame, the band werent able to maintain any decent amount of success. They had to re-release and remixed Send Me Angel in '89 if I recall correctly. The '87 countdown is the worst Countdown ever. What were they thinking with that awful voice over guy? Its great watching artists perform their songs either in the studio or in video, that ended up going nowhere, or were one hit wonders. I have the Kent chart report book, and Sembello for example only ever had the Maniac hit. Automatic Man only made it to the bottom of the top50. He was gone after that. The expression were also another band who disappeared after 1983, without major chart success. Bop Girl hasnt aged well.. Urgh! Good to see Tim Finn hosting. He did seem desperate for more appearances in the future, though. The cheesy "You're A Friend Of Mine" was so 80s! I hadn't seen that David Bowie film clip before. Yeah, nah! What were they thinking in 1987? Loved the Bob Geldof interview in front of the Sydney Opera House and Harbour Bridge. And the Band Aid Concert footage at the end was good, so many famous faces. There's so much to like about the early Countdown episodes, compared to the later ones, in that there were more live performances in the studio. John Farnham and his band were great. I was excited to see Cliff Richard's 'The Only Way Out', very memorable. He had so many hits and songs over the years, and so prolific in the 70s and 80s. Ended with a great Australian Crawl performance. Yeah, the way the 87 episodes were produced was horrendous. Not really retro for me. Gavin Wood and Molly were barely sighted. Hated the voice over they had in their place. 75-82 period are the best of Countdown. I enjoyed the whole night. I know some episodes are better than others but I ultimately hope that Rage show every single episode they have in their archives. So as long as they are episodes that Rage have not shown before then I am more than happy with anything they pull out of their vaults - I thought the 1983 and 1985 episodes were particularly good examples of those years. By my approximate count there were still 103 episodes to screen coming up to this year and now, after we have had 11 episodes in the first two nights, there are 92 episodes to go. I hope they continue to show a broad range of them each year to allow for variety. If they only end up with 1986 episodes left to air (which currently comprise 23 of the non-repeated shows) then we may struggle to see them all. I am actually hoping for 3-4 1986 episodes each year for that reason. If we get about 15 episodes per year then we should see the remaining shows in the next 6 years, which is better than I had originally thought in the early 2000s. Rage have been really good over the last 10-12 years to avoid repeats of episodes, removed that January concert (forgotten what it was called) and have still included a few requests as well. They now show more episodes than ever other than maybe 1997 when we had that huge run of 1979 episodes. The Saturday morning clips tend to be common, although the Split Enz GTK clip was interesting with its introduction with clapper board from the master tape. They do show quite a few good vault segments during the year to more than make up for it. As they had such definitive and different formats from 1983-87, each episode takes me back to that year as I remember almost every single show and what I was doing around that time. I had asked for the 1987 episode as I had wanted to see the live version of The Pony - I Lied which had the added bonus of being introduced by Suzanne Dowling. 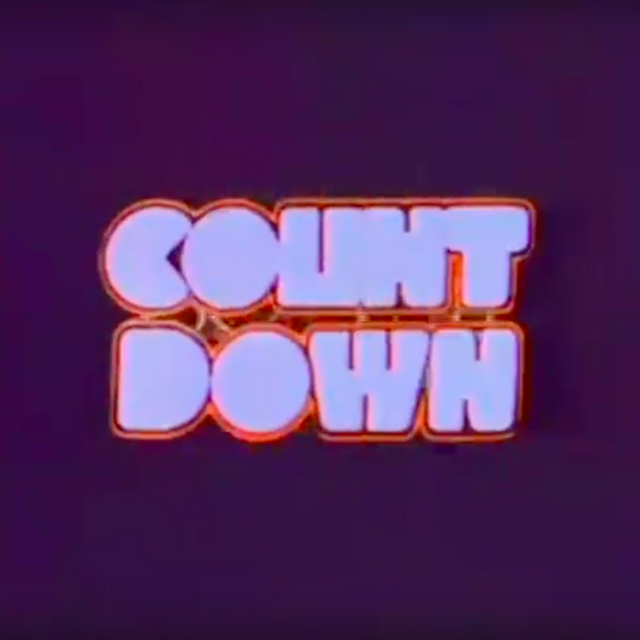 The Countdown CDPTV concept was woeful but it is still an episode of Countdown which I haven't seen for over 30 years so I am happy to have another one for the collection. I recorded all of last night rather than watch it live, but have fast forwarded through to check the aspect ratio. It's weird to think that rage could get through all of the remaining Countdown episodes in the next 5 or so years (maybe even 4 at a stretch with a few 5-weekend Januarys), if they keep churning through them as they have been recently. 2021 and 2022 are 5-Saturday Januarys, followed by a hatrick of them in 2026, 2027 and 2028 - though they should have gotten through all of the Countdowns by then. That's okay with me as I like the '86 episodes! Still hundreds? of Rock Arena's to air so plenty of options to mix things up. Then start over again. Those of us who are missing episodes could start requesting episodes to complete their collection. Yes forever just to annoy the recovery crowd :smile: I remember the early days of recording off analogue and often the reception was average at best. But thanks to some savvy trading I have a lot of those early episodes in digital. Still there are some gaps that need filling. Countdown / Rock Arena forever! Certainly does! I was given Out Now for Christmas in '85 & for some reason, rather than Easter Eggs in 1986, although I probably got some of those as well ;) - I ended up with Way To Go. Still have both LP's to this day both are fantastic compilations. Haha at "instead of easter eggs". My brother and I got '1982... Out Of The Blue' as a reward from our parents for passing the half year school term. The last compilation album like those I got (new, anyway) was 'Hit Machine 8' at Easter '95 :laughing: The 90s compilations had such dull names (all 100% Hits Volume X/Hit Machine X after '91/'93 respectively) by comparison. I had The Winners and Up In Lights, but alas never got Out Of The Blue. I'm wondering why I spent so much $$ on singles when about four or five of these comps came out each year. And I wasted money on dud albums like Spirit Of Place by Goanna! One of my favourites is ..with a bullet. Has "Come Back Suzanne" which is very hard to find on any format. The compilations are one of my favourite things ever. I have everything that was released on CD ('Summer' 87' was the first) through to the Hit Machines and 100% Hits in about 1997. The eighties compilations are the best though. I'm working on getting them on CD too (albeit unofficial copies). Thanks for the link to the website with all the compilation albums, I have seen other similar sites, but that one gives so much more detail. I would have about 80% of those compilations (from 1978 onwards) all on LP, up until Summer '87 which was the first compilation of these sorts available on CD in Dec. '86. Also have 87 Right on track and a few more through to the early 90's, but again most on vinyl. 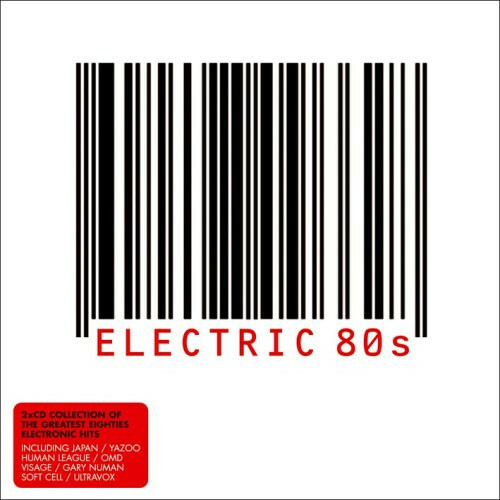 For me, Nothing Compares to the hits of 1990 & 1990 All the Rage (which I have both on LP) are the end of a fine era of these compilations. It's worth looking up on YouTube, there are a lot of old compilation ad's like 1982 Up In Lights, 1984 The Music, Rocktrip '82, Smash Hit's 87, '87 Right On Track, TWO different ad's for Hit's Hot '84/'85 & more - they are awesome to re-live. COME BACK SUZANNE is an awesome song and has a very funny video. You would swear that Charlie Watts was playing the drums, as it has his sound and style of playing. A Classic indeed. Some of those compilation albums in the late 80s also were released as VHS tapes with the promo videos for the same songs. I’m pretty sure “1987 Let’s Party” came out on VHS. Yes it did! I recall hiring it from the local video store back in the day. It's interesting that Summer '87 was not released on VHS, but was the first compilation like this to be released on CD & Let's Party wasn't, however Summer '87 wasn't released on VHS. It was on Polystar though, whereas Let's Party was Fes/EMI, so maybe that was the reason. Yes, the EMI/Festival compilations were much more likely to be released on VHS. were all on EMI or Festival, and all were released on VHS. But then the other (CBS/Polygram/BMG) compilation took the mantle. were all released on VHS. There may be others that I've missed. There was also Smash Hits '88, but that was more of a year retrospective. I do indeed need the Babies video from Real Life! Just chiming in on the Rough Trade video. Here's also hoping it's the full length with the AWESOME extended instrumental intro that is unique to the video, but can't be found as audio only unfortunately. REPLY TO STEVEN:"Yeah, the way the 87 episodes were produced was horrendous. Not really retro for me. Gavin Wood and Molly were barely sighted. Hated the voice over they had in their place". I was watching the 1/3/87 episode with my wife last night, and whilst '87 was generally an excellent year music wise and the show was (sort of) hosted by the genius David A. Stewart, plus had some first class videos like "Hold On" & "We Connect" - the voice over CDPTV thing is just horrible and mono-tone. My wife's comment is like "Where's Gavin Wood"?? I realise he was no longer working there by that stage, but John Peters was still writing the scripts & perhaps John Peters should have been doing the voice over's and intro's instead of that awful "voice". John did voice quiet a few shows in '87, but the ones he didn't like the 1/3/87 show were just wrong. 1986 was a great year for Countdown, as was 1985. IMO, CDPTV probably spelt the demise of the show. I get that they were trying to "update" the format somewhat as they were now appealing to a new audience generation than those that were young and watching in the mid to late 70's through the early 80's. But they went so far down the wrong path it is ridiculous. The way Gavin Wood announced and back announced songs and did the intro's and the outro's was brilliant & surely was one of the highlights of the shows popularity - why change that? Such an incredible song and video. It's a shame it took so long to take off, only peaking at #40, but spending the same amount of weeks on the chart. Yes it is unfortunate it wasn't a more substantial hit, all I can put it down to is that there was some seriously high quality competition on the charts back in late 1982.